How do I download the letters? Click the link for the font you want! They should download automatically. I sense Google translate at work 😀 but I think I understand. Check your email! Can you email me the alphabet? Nope. But you can download it. HI! Your blogs are incredibly helpful, thank you! Is it possible to send me a template for the name “gibson” with a lower case g? Thank you so much! Can you make HERM in Abril. Hi, I love this.. I used to make angels from hymnals at my church when I was a teenager,but had no idea I could do more. I was wondering if you could make me a pattern for my pastor since it is pastor appreciation month. I would like to make him one of these. I really like the Habano ST font. His name is Pastor Hutto or if you don’t think that will fit on one book I can just do Pastor. Thanks in advance. hi! i love all of your patterns and i was wondering if you could help me out. i work at a library and would love to be able to fold our name to display over three books. Catlin Public Library. Thank you for all you do! Hello I’m new to this and I really love crafts and Ive done so many for husband! I find this a challenge and I was wondering how I can do his name “Rico” with the pdfs you provided or if it’s not too much trouble to ask if you can please email me his name in Abril font! Would mean ALOT for our 1 yr anniversary! I want to try my hand here. Can you share template for word love? Hi, I just discovered your website and I will be attempting my first book folding design for my son’s wedding. I am going with your script Mr & Mrs. I downloaded your pdf and am trying to figure how many book pages that I will need for this project. Do I count the black and the white stripes as page sheets? Also how do I fold the negative space pages between the words and how many pages of negative space should there be between them? I’m looking for a cross template. Would you mind emailing me one? Thanks! Can you email me the complete alphabet templates in a script? I can send to my husband to print. Thanks! Nope, cause you left no email address…..
I’m new at this but really want to learn the process of folding names, etc. I’m retired so I don’t have access to a computer and printer any more. I’m a quick learner but need help figuring out how to get started with the process. I know how to calculate where to start what I want, but with letters, it seems different. Any YouTube help might help too. Thanks! Without access to a computer or printer I’m not sure how you can watch videos or print the templates. Not sure how I can help you! Hey how could I make a template for either 4-17-18 or J&H ? I am trying to do a bookfolding for me and my wifes 1st wedding anniversary. Thanks! I find your site very user friendly and a great inspiration for my bookfolding, but I still have trouble making my own names. Is there any chance you would be able to help me out with the name Jenny and Jennifer in Habano ST font. Jenny should be no problem but Jennifer is longer so I’ll do it on LEGAL paper too – just tape two sheets together to equal at least 14 inches! A warm hello from Australia…. Thank you for offering templates. Please could I request “Mrs Ralph” in Habano ST font. I think this will be a great gift idea for my boy to give his teacher for Christmas… the countdown is on, so gotta get folding! Hello can you create the monogram for the initials DMO with the O being in the middle and bigger than the D and M. I’d like the font to be Bernhardt. I posted this earlier but I’m not sure if it posted. Thanks! 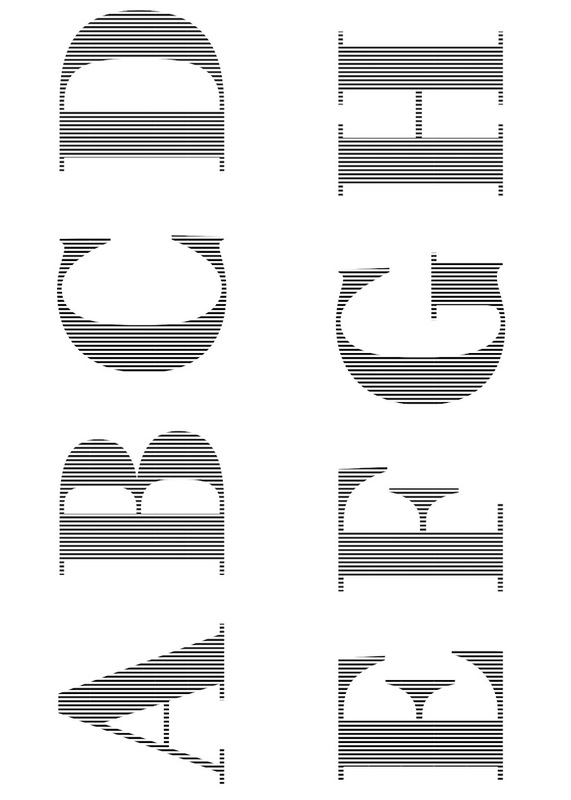 Seems that the PDF link to these 2 fonts (Abril and Habano ST) are not set up – only get a link to half the alphabet as in picture? Please can you assist. Both links work and are to 7 page pdfs. Are you mistakenly thinking the images are the links and not clicking the links that are the font names below ? Firstly thank you so much for the wonderful alphabet templates. I just need to ask, I have downloaded your Habano St template. When using any of the capital letters (I need to use the D), could I use the mark measure and fold for this. Really hope this makes sense. You can slide the template and mark the pages then fold them rather than folding each line as it comes, sure. I often do that. Hi! Anyway you could make me a template in habano font w/ a heart in the middle? Thank you so much for offering these free templates. I’ve become hooked and wish I had more time in a day to fold! Would it be possible to get a single letter G in something like a Brittanica bold/times new roman/Black chancery font (not too fancy, yet not too plain of a print)? I would also love to have a template for family, faith, and grace…I’m guessing you have already done some of these, I’m good with whatever you have on hand. You posted an example of family in a really nice font in one of the earlier comments that would be perfect. Thank you…Thank you…Thank you!!!! Sorry I don’t have that font in my collection – I have something called Berkshire Swash…. Generally, I don’t do full alphabets (upper and lower) as my time is limited and I try to spread around how much time I can spend helping any one person. Happy to do a name (or three) if you send me a link to the font where it is free. I can but I am thinking a three line template is going to be quite a challenge! Watch for an email…. Can you please make me a template for Friends For Life . my best friend of many years is moving away and i would like to make for her Thanks!! I hope you are considering a cut and fold! That is a crazy number of letters for a fold…. A cut and fold will also work !! Other than the instructions I give for lining up the letters, there is not much more I can offer. If you need a specific name, leave your email address and request it! Hello! Thank you for your time, could you please send me the names Nikita and Kyndal? It’s for two separate books. Thanks! Sorry, in the Habano font. Could you make me 2 templates that says BTS and Jungkook using the Habano ST font. Thanks. Can you send a template of Nana I can’t get the letters to print out properly to do it just with them. Using the ones already posted will result in a smaller end result. It’s easy enough to do Mr and then Mrs alone. That way they will be taller and wider. Watch for them. Hello. I am a environmental education teacher in Florida. I have several old text books we were planning Ning to reuse to make recycled art projects. I want to make my own before I instruct the students to do their own. I will be using your site as a reference and may have questions along the way. I think the big hurdle will be to get the lines in the paper for the shape, letter or word of their choice. I’d like to be able to ask you questions I hope you feel inclined to offer your help. Should be free be, as long as you aren’t expecting an immediate answer :). I try to get to things each day but some times I don’t manage it! Are you back? If you are can you loo at my previous comment I’ve commented before? So excited to do this for my boyfriend! Can you please make me a template with the name “Hoai(heart)”, another with the date “11(heart)27(heart)16” and another that says “ANNIE(heart)”? Please choose a pretty font (: I sort’ve like habano font but not a whole lot. These are three different books by the way. I have purchased books that have 416 numbered pages, 630 numbered pages, 371 numbered pages and another with 352 numbered pages. If that helps any? If you can tell me which template you used for which book as well, that’ll be great! Any advice would be awesome too because this would be my first time doing folded book art! https://scrappystickyinkymess.wordpress.com/folded-book-templates/ then scroll down, in case you don’t get the one I emailed! I’d like my book to have the word “Hoai(heart)” with a nice,pretty font. Maybe a flowy-ish one or maybe just for the H? If that makes any sense. I have a book that has 416 numbered pages and the height is 9.5 inches. I am away from my Mac till after New Year. And read the previous comment regarding book size. You may be better off buying a custom template if they have to be sized to a certain number of pages! do you know a good website to buy one from? You’re so generous! How about lower case in both fonts. Would love that! Struggled for days to learn online tutorials. Thank you so much! The PDFs are upper and lower case. Did you download them? Thank you so much for all of your amazing information. I would like to do my first book for my father. Could you send me a template that says Dad in a cursive font like the one above maybe or any that you think would turn out really good. Thank you! I don’t know what font who is the best for a beginner to use. So pick one you think will be nice. All I can say is …..You are AWESOME!! Just starting book folding and so appreciate your templates. Thank you for sharing! I don’t send out full alphabets but I would certainly consider adding them for download. Watch this space! It’s a school logo for the University of North Carolina at Charlotte. I would greatly appreciate it! Love your posts! It looks amazing! Thanks so much, I really appreciate you taking the time to figure it out! I will send you a picture when I’m done!! Thank you again, so much! Not without an email address :). It’s called Intaglio but it is for Mac only. No problem. Watch for it in email! I LOVE all your templates and thank you for spending the time making them so begingers like myself can learn the art without forking out on lots of expensive templates. Ive made a few now and would love to make a hand print version. Do you have a tenplate for this or be able to make one please? hi would it be possible for you to make me a template with the work “Jenica” (nick name) its for a friends birthday. would really appreciate it i don’t care what font it is but maybe something a little bit girly? sorry it took a couple of days to get to this! it’s on the way. You are a God send. I couldn’t print the entire alphabet. I have a request for a template that says Sisters. If not, maybe their names Rosie and Lisa. I want to surprise them as gifts for their birthdays. I have been trying to figure out how to create my own templates and i have photoshop but it keeps freezing. I am in need of just a P for a wedding present. My book has 340 pages and is 22.75 cm tall. I also need a C and this book is 400 pages and is 21 cm tall. I am not particular with the font. I was just thinking of some sort of script. Thank you! I wish it could help but we moved house today and it will be a while before I am reunited with my Mac. I’ll see what I can do but it’ll be Tuesday at the earliest. Sorry. I have the alphabet template you made, and it was an amazing help to create a folded textbook for my desk, but I wanted to create a bigger decoration for a birthday present and am running into problems. I need three books to create it, and because each book will have two lines of letters I can’t get them to line up correctly. I don’t have photoshop so I have been trying to do it by hand and it isn’t coming out right. Do you have any suggestions, or a program you could plug things into and it’ll spit out a template? Thanks!!! For my alphabet, the best plan is to cut all the letter out in blocks, trimming them to the very edge of the printed area. Draw a dark line for the bottom of the letter. Hold the paper up to the window, and using the line as a guide, stick the letters securely and fully onto the other paper. Then you can use that as your template. To make them placed the same across all three books, you will need to mark the position of the line for each book – line them up an a row and mark where you want the line to be, so if the books are different heights, the line will flow from one to the other as they stand up. I do hope to get back to a multi-line alphabet set at some point, I’m just too busy moving house at the moment 🙂 but I HTH! I’ve been searching everywhere for number templates. Would you be willing to send me “06.08.15”? It’s going to be an anniversary gift, and I’m running out of time. Thank you so very much. can you create one saying “prom?” please. my girl friend will be so surprised thank you. Your email address is incomplete so I am unable to send the templates! it ends with @gmail.b – what comes next!? https://scrappystickyinkymess.wordpress.com/2015/10/09/more-book-folding-templates/ has numbers, and the post here https://scrappystickyinkymess.wordpress.com/2016/04/04/book-folding-class-of/ has two PDFs of numbers, if that helps. Hi… Is there anyway you could do a template that says “Prom?”?? That would be extremely helpful. i recently purchased one of these folded books on line for quite a lot of money. Since then i would like to give more as presents as i loved it so much. So decided to see how easy or hard this art is. Could if doing a ballerina is harder than a word? How do you put the letters together? I want to make an “Eleanor” book (or maybe “Ellie”), but I am a little confused on how to start. Can you add “Eleanor”? How many pages would I need? Could you make an exclamation mark in Habano ST? Thank you so very much for you wonderful tips, great pdf’s and kindness for sharing all this without demanding money. It is getting so hard, now a days, to find someone so willing to share. And because I am so new to this craft, I definately did not want to spend the equivalent of 60 dollars for a few patterns to practise with! I am very happy I found your website! Thank you, thank you, thank you!! Exactly what I needed ! Awesome ! Thank you very much ! Thank you so much for the alphabet letters what a great idea. I can now have a go at paper folding. Sorry I haven’t gotten back to you with a font selection. I have tried giving you a font for a monogram for TCN (with C being larger) and also KGL (with the G being in a larger font) with no success. I have tried to access fonts for Photoshop (which I think you use when you create your masterpieces). However, each time I tried opening up I get a virus, – it has happened on my cell phone and also on my pc and laptop. Very frustrating and truly sad. 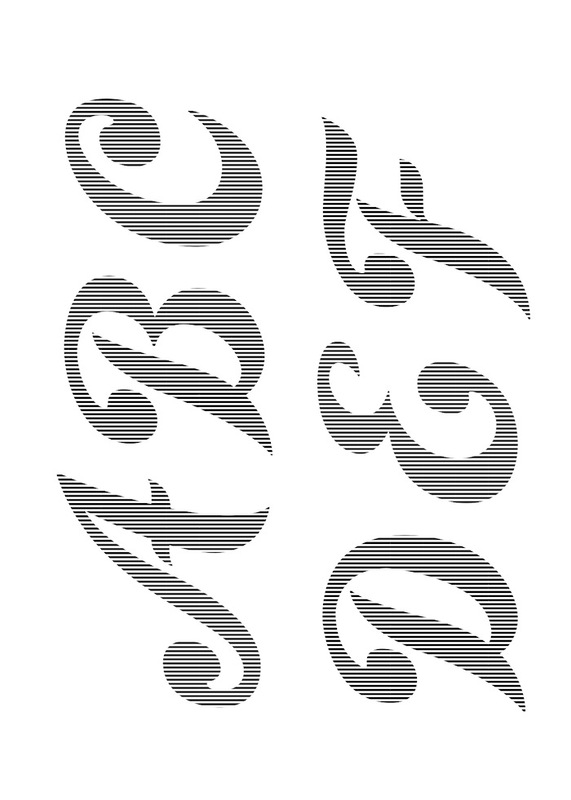 I agree that monograms are usually more angular and very calligraphy like, which might be next to impossible to do. I trust your judgment in selecting a font that would work beautifully. One more question, when presenting as a gift, how have you kept the book from opening completely up (especially when the word is seven or more letters. Any suggestions would be most welcome. I am excited to hear from you. Have a wonderful day. Hi. I did my Ruby that you sent,& a geart. I’m sooo pleased with it. But….how do I make the book stay closed enough. I have put a ribbon round it but it looks a bit “pants” lol. Any suggestions very gratefully recieved 😊. I think I replied via email, but seeing this again I worry it wasn’t received. I’ve not seen many options other than ribbon, but could you set s couple of eyelets in the covers and tie the ribbon thru them? Or use a pearl strand (thin ones) or even colourful wire? You could maybe add a stand. Is it too open because there are too many or too few pages front and back of the folds? Happy to, but what sort of font? Monograms are usually something more angular than the one I used for the alphabet. Any ideas? I know I already sent you a template, but the I is there, just not in order. Hi thank you I only have a PC unfortunately and its so hard to do with the tutorials on Photoshop 🙂 thank you for the template when I am printing it is very small and pix-elating sorry to be a pain but could you tell me how to get this image bigger? I use a program called Intaglio. It’s Mac-only and a little quirky. The key is the lined fill pattern. There are (I think complicated) instructions for making the templates online but if you have a drawing program and the right fill pattern you can simply create the word and fill it with the lines. Try this one if you like….here is a smaller version of what it looks like. Did you download the PDF or are you trying to print the jpg image? That one is Habano ST.
Love this! I’m new to doing this. Just starting out so it will be slow for me. Any help will be appreciated. Lots of extra info in the Book Folding menu at the very top! Try now. It should work! Would really love a “Mr&Mrs” template for my son’s wedding. Have just started book folding and struggling to work out how to do the patterns in paint.net. Much appreciated if you could do me one -your choice of font,thanks. I thinks this is awesome! Can’t wait to see the full alphabet as i think this would be a great/unique gift.